This post is filed under Beef, Bread, Cheese, Frozen, Hot Pockets, Microwave. 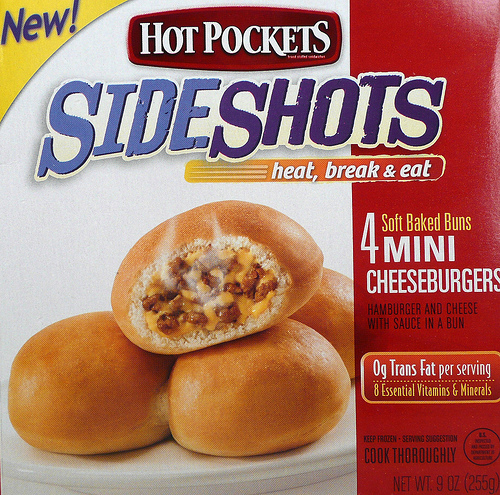 I think these cheeseburger hot pockets are amazing! they don’t look like diarrhea and they don’t taste like diarrhea. they taste like quality cheeseburgers and i would recommend them to anybody who likes quick meals! 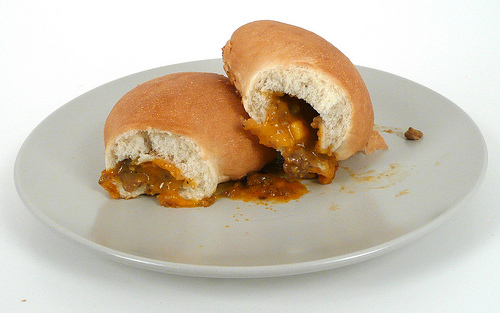 Those actual photos look like the bun things are puking out the cheese and meat. I’d loose my apatite instantly.